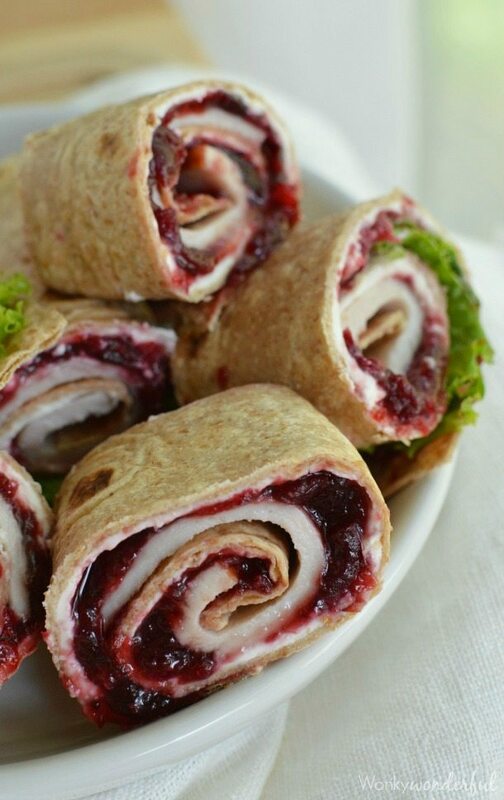 Turkey Roll Ups are an easy and tasty way to use those Thanksgiving leftovers. Turkey, cranberry sauce, cream cheese and lettuce wrapped into a tortilla. 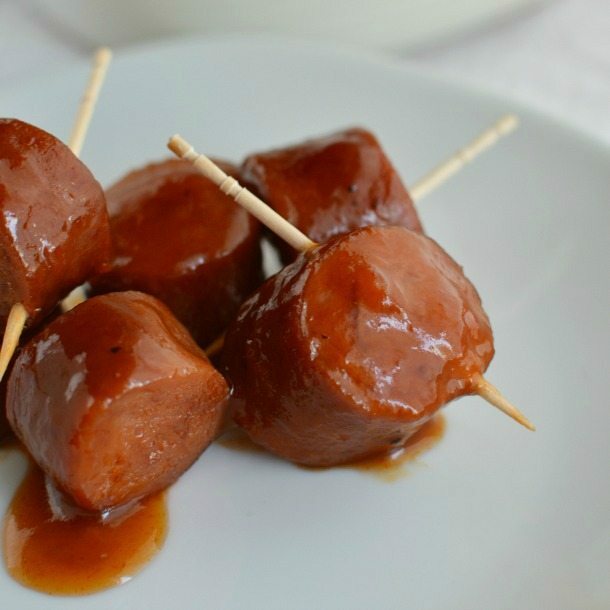 These are great as a lunch or appetizer! I’ll keep this short because everyone is busy stuffing their face or still recovering from stuffing their face. No judgement here, I’m doing the same. Nothing beats the day after Thanksgiving turkey-cranberry sandwich. I love to slather on the mayo and cranberry sauce. In fact, I think I enjoy the Thanksgiving leftovers more than the actual feast. I’ve been eating turkey and cranberry sauce sandwiches all month. One of the perks of being a food blogger I guess. 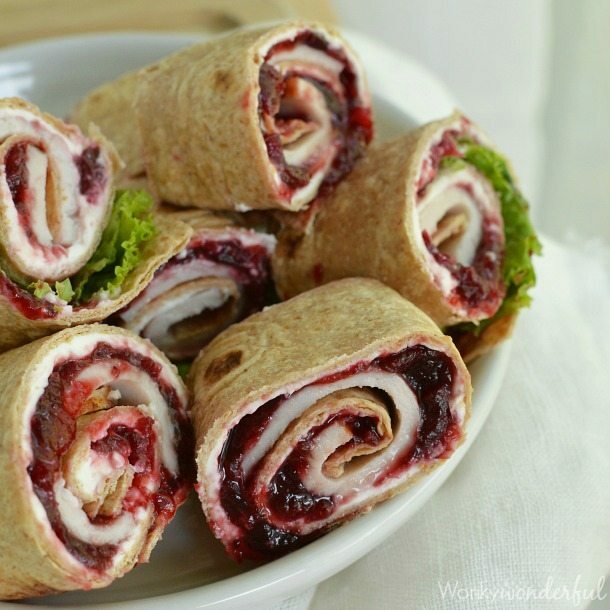 These Turkey Roll Ups are a fantastic alternative to sandwiches. And they are perfect for snacking on. 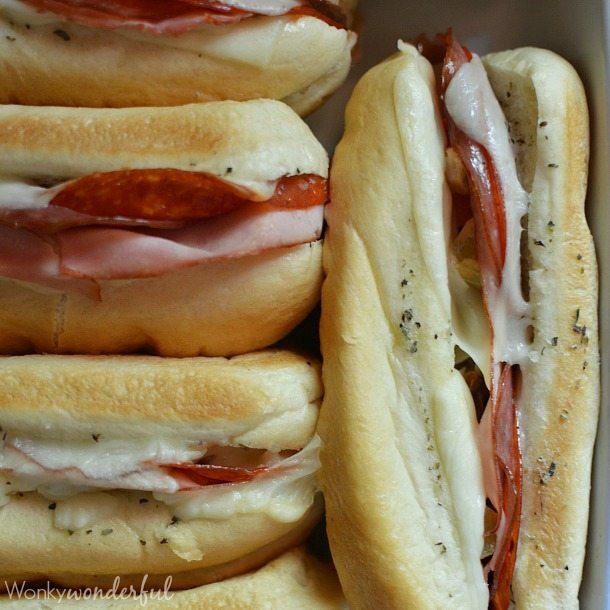 Make a tray full of these for your football watching friends and family. Or enjoy them after your crazy Black Friday shopping! So, this is my last recipe. Now I’m signing off for my Thanksgiving weekend. Happy Thanksgiving Everyone!!! Spread about 2oz cream cheese on each tortilla. Do not spread all the way to the edges. Spread a generous dollop of cranberry sauce over the cream cheese. Top with 2-3 slices of turkey and lettuce. Roll tortilla as tightly as possible then slice. Each tortilla roll up can be sliced into 5-6 pieces. More To Feed Your Crowd . 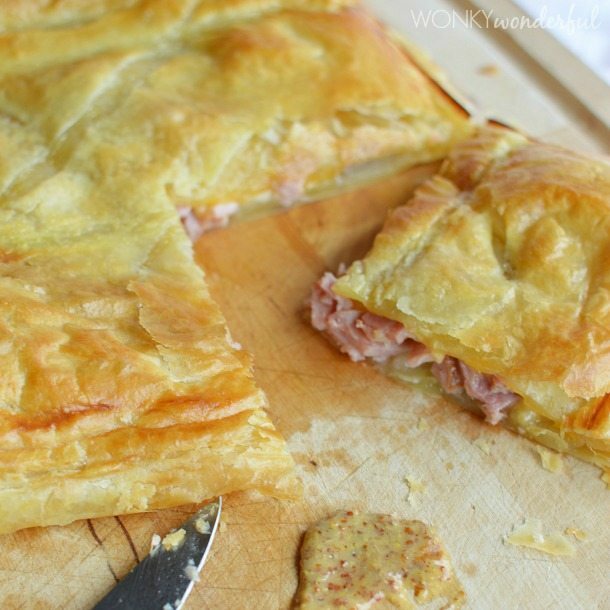 . .
What a wonderful idea for leftover turkey and cranberry sauce. Thanks for the recipe.